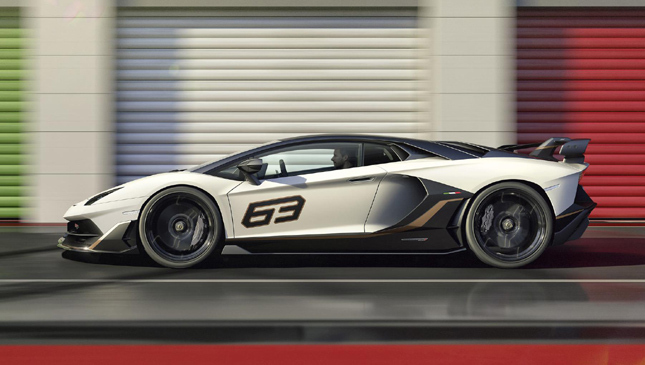 This is the new Lamborghini Aventador SVJ, the most extreme version of Lambo’s big-boy supercar yet. 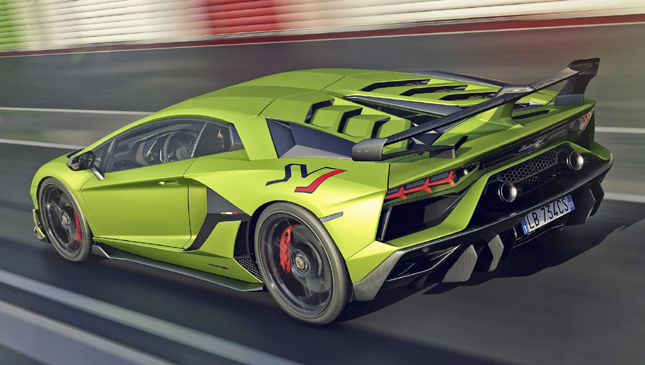 It’s a car we already know to some degree—it’s already claimed the Nürburgring Nordschleife record, and we’ve also driven it—but this is our first glimpse of the SVJ without any camouflage. 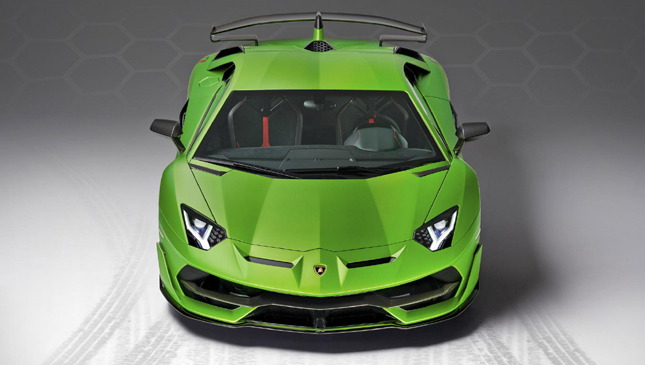 As is the way, much of its design has been led by aerodynamics, with a new version of Lambo’s ‘ALA’ active aero tech. 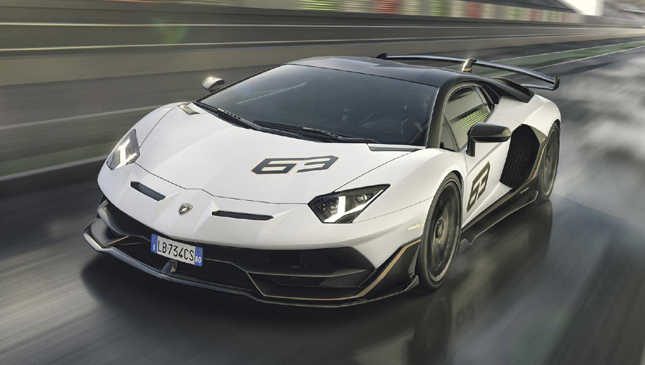 As a result, the SVJ hikes up downforce by 40% over the old Aventador SV, but with a much higher proportion at the front of the car to make the handling much sweeter. 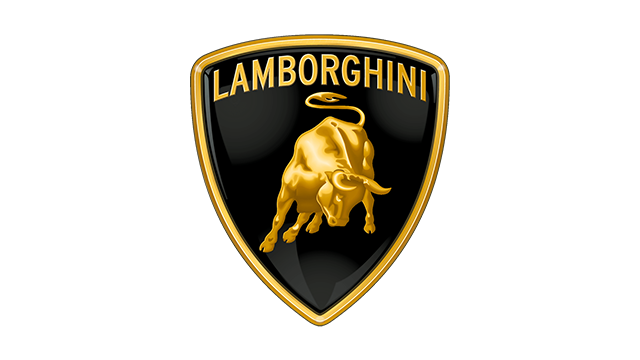 Indeed, it proved a lot more confidence-inspiring when we drove it, with the addition of four-wheel steering also assisting. Other highlights include its new engine cover, made from lightweight carbon and removed via quick release clips, like a proper racing car. 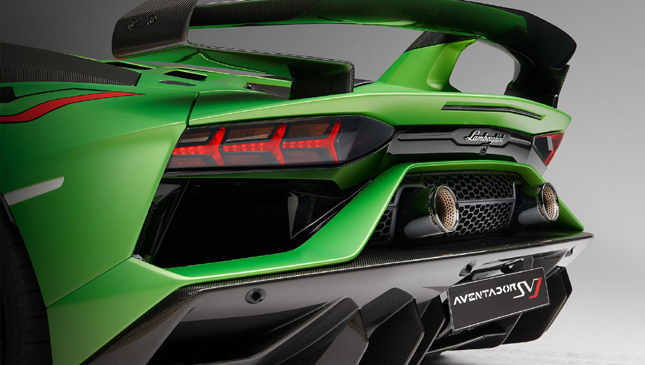 Rear visibility doesn’t look exceptional, but we suspect wayward pedestrians will see—and hear—you coming anyway. 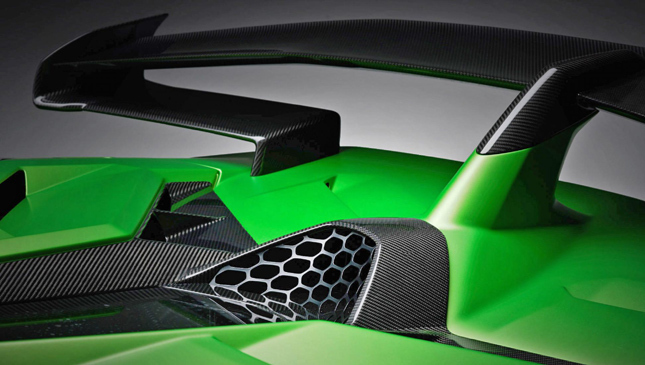 There’s enough glass to glimpse the skin-crawlingly offset engine cover, at least. 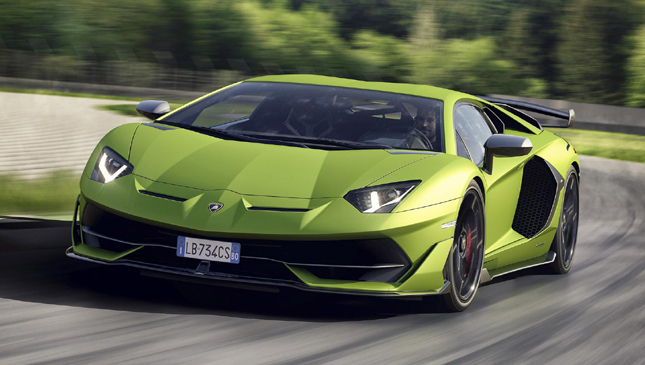 Other tweaks over the SV include suspension that’s stiffer, but with a larger damping range—so it should actually be a wee bit more useable—as well as retuned steering, a sharper reacting seven-speed paddleshift gearbox and a four-wheel-drive system that sends a slightly higher fraction of power to the rear wheels. 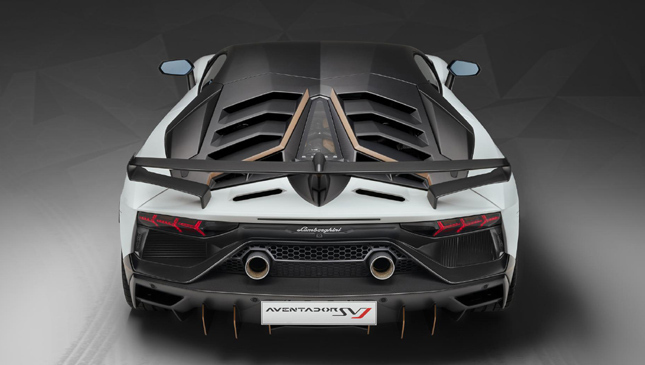 Beyond the extra downforce and the addition of four-wheel steering, all of the SVJ’s changes over the SV are relatively small. It was hardly a big, slow softie, after all. But they’ve all come together to make a car that’s much sharper car to drive. 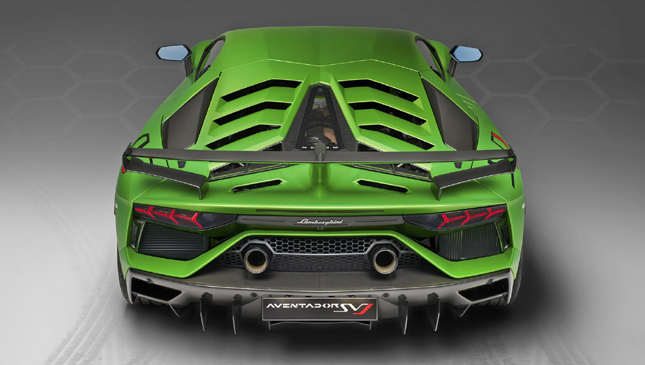 Some of the tweaks are ingenious, too; see how the exhaust pipes have moved up above the diffuser, making it look more striking? 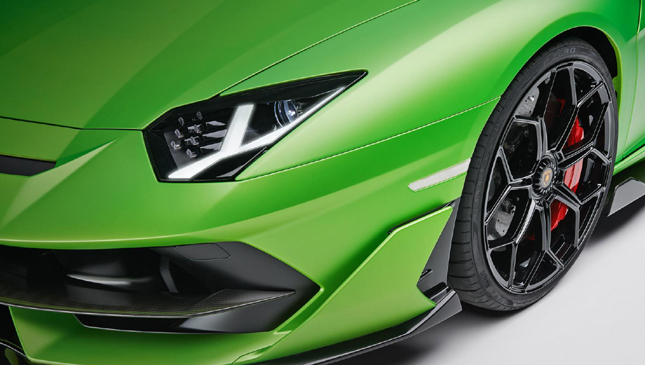 That also moves the exhaust system closer to the engine, shaving off a little bit of weight. 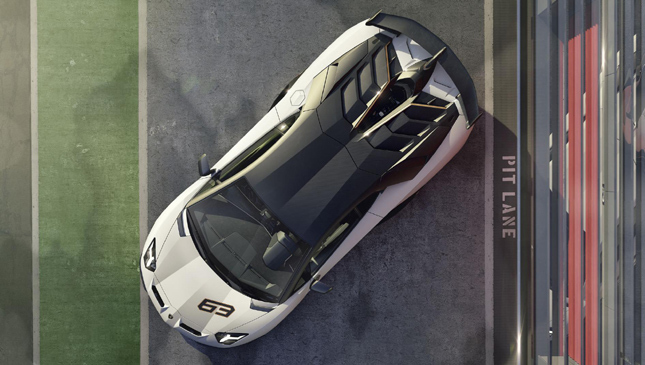 Unveiled at Pebble Beach in California last week, the car you see in white is the SVJ 63 special edition, marking Lamborghini’s 1963 founding year and with—you guessed it—just 63 being made available. 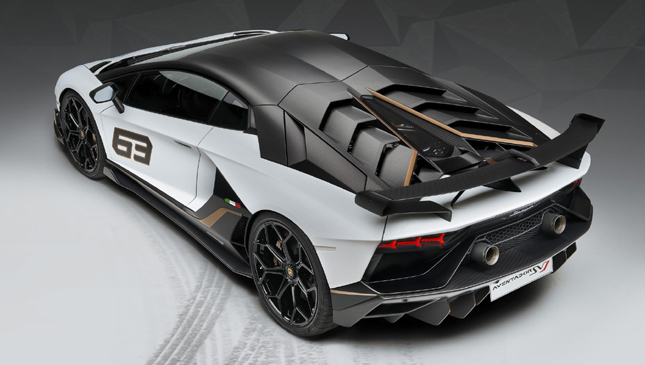 It comes with "rich use of carbon fiber," but we suspect that’s something you can deploy with a suitably large budget and some inventive use of the configurator. 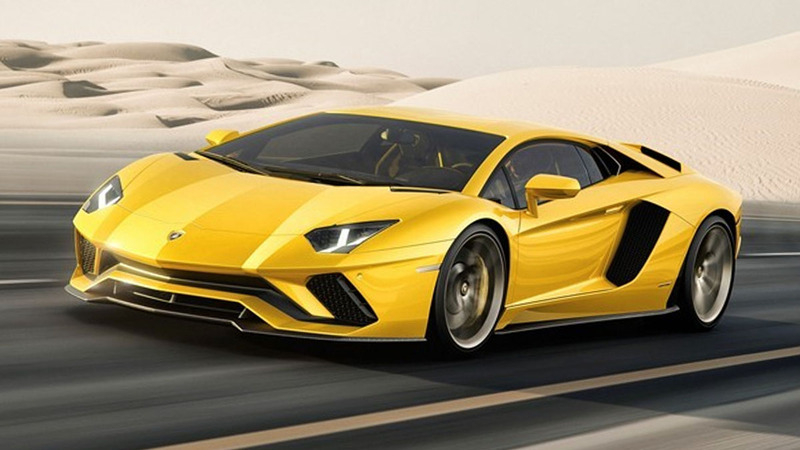 Which you might as well, with a base car likely to provide little change from £350,000 (P24 million).